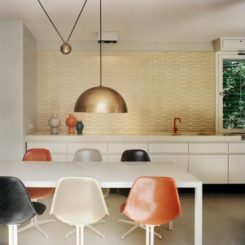 With its clean lines and eminently cool vibe, mid-century modern decor has been popular for about the last decade. The comfortable and stylish designs fit with today’s more casual lifestyle and open floor plans. 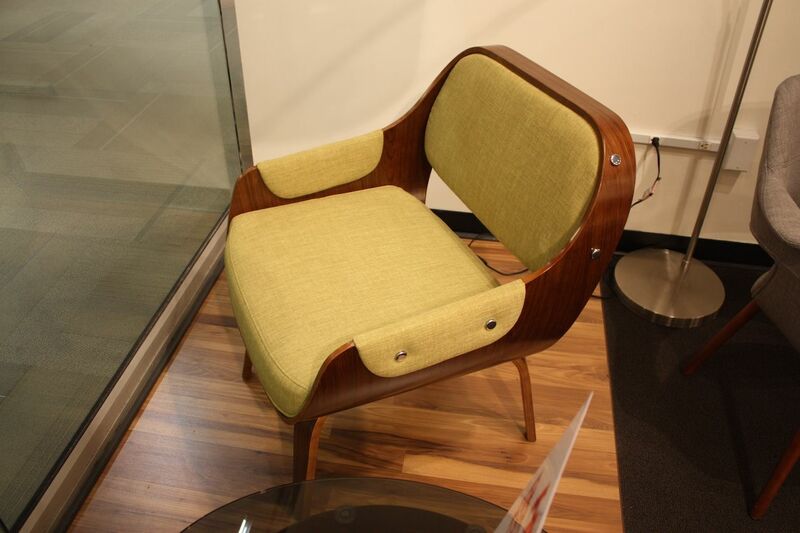 In fact, mid-century modern pieces have made their way into the offerings of many mass market furniture retailers. 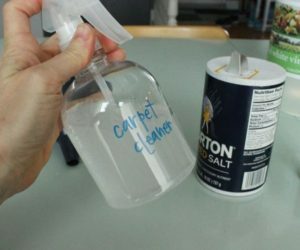 This means it is easier than ever to find items for your own home. But, what mid-century modern mean when we talk about this type of décor? 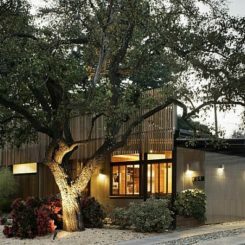 Mid-century modern is an overused buzzword that has come to mean a lot of different things, and not all of them accurate. 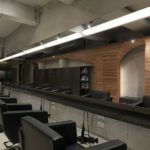 It’s really a reference to developments from the middle of the 20th century – mainly after World War II – in architecture, furniture, materials and technologies that become popular after the end of the war. Currently, it is most used in reference to furnishings and décor. 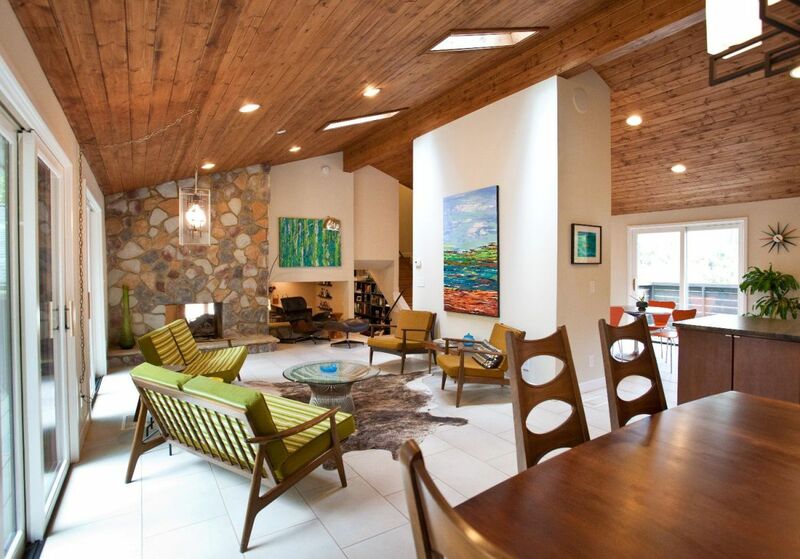 Color, open space and a light and airy feel are elements of mid-century modern design. 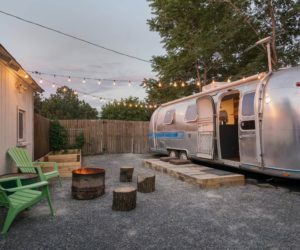 While there’s much debate on the actual years that encompass the mid-century modern era, most sources generally accept that the heyday was roughly 1945-1969. Writer and art historian Cara Greenberg originally dreamt up the term mid-century modern in 1984 as the title for her book about this design era. 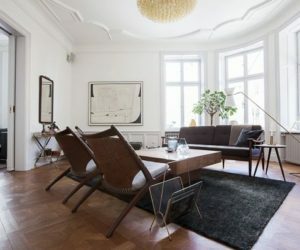 According to Modernous, mid-century modern has many of its roots in Germany’s Bauhaus style. Thanks to the migration from Europe after World War II, designers brought this type of interior décor o the United States. The rise of new materials and shapes came from the scarcity of traditional building materials during the war. 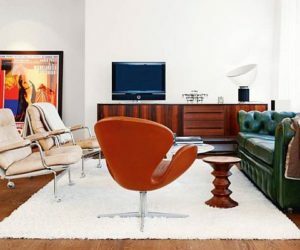 The style of décor from the mid-century modern era is artisan-driven, diverse and creative, notes Curbed, adding that it was also fueled by the great many pioneering designers who were active in the period. Also, after World War II, cities in the US were expanding and suburbs growing, creating the need for quickly built housing and the furniture go in it. From there the mid-century modern movement grew, bringing modernism into the post-war suburbs with furnishings crafted from new materials for modern American families: It was functional, comfortable and practical. 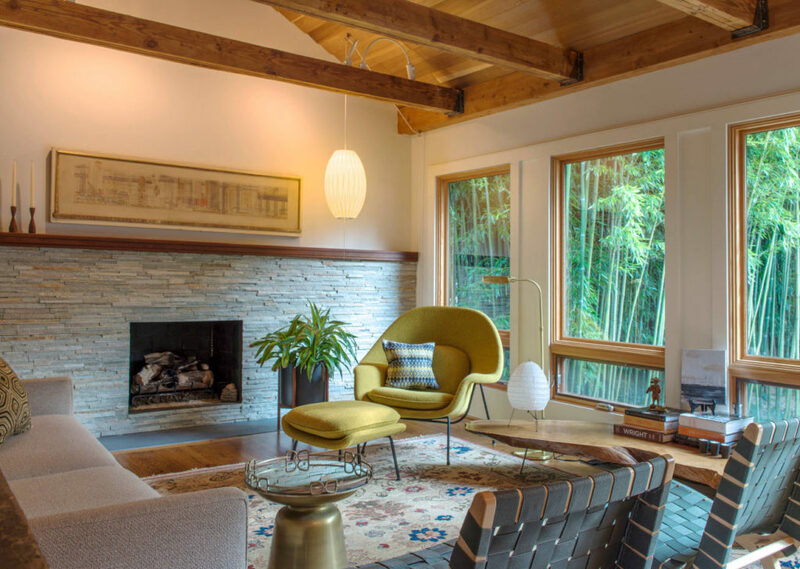 Mid-century modern homes were also the source of today’s open floor plans, thanks to the introduction of large open spaces, plentiful windows and natural light, and an easy indoor/outdoor flow, notes Curbed. Wood accents and a nod to nature are part of the design era. 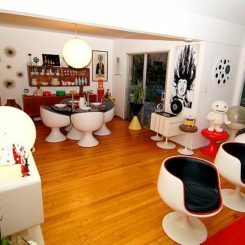 Mid-century-modern design is still popular today for myriad reasons. 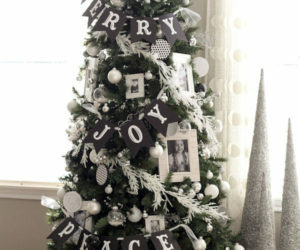 Its characteristics make it a perfect fit for today’s contemporary, modern and eclectic home décor styles. 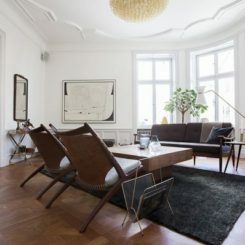 A connection to Scandinavian minimalism and the incorporation of natural materials is a core feature that fuels its following. Many pieces mixed materials, both natural and man-made. New shapes were a big part of the mod-century modern era. 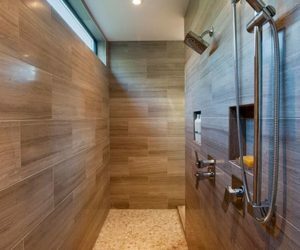 Among baby boomers, the design style harks back to their youth, which makes it appealing for many. 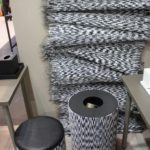 Among younger generations – Generation X and Millennials – a lifetime of exposure to television shows and movies has engendered an attraction to mid-century modern décor, which is why so many retailers now include it in their sales mix. Many of the designs that originated in the mid-century have stood the test of time. 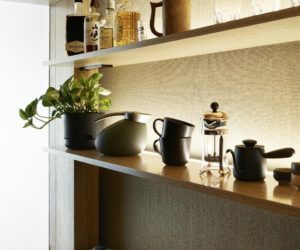 While the mid-century modern design era actually encompasses a number of styles, there are elements that are characteristic of the period, says Iris Abbey. 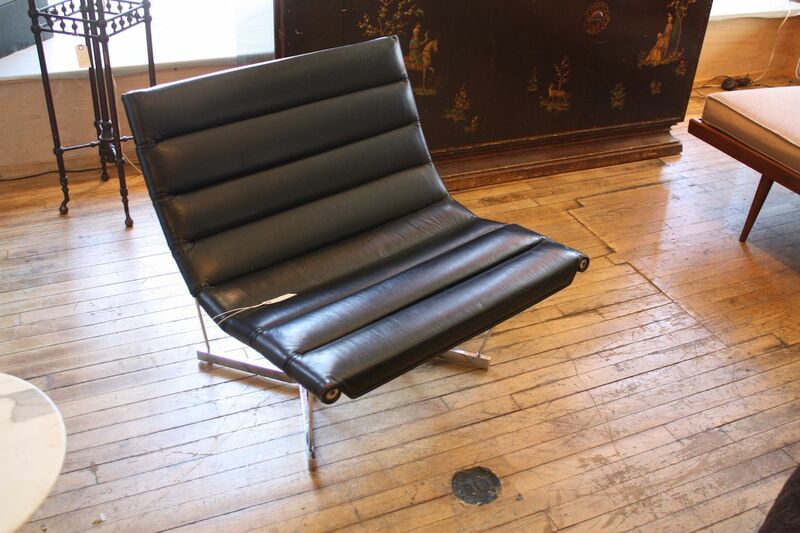 Architect Mies van der Rohe also design furniture, such as the classic Barcelona chair. 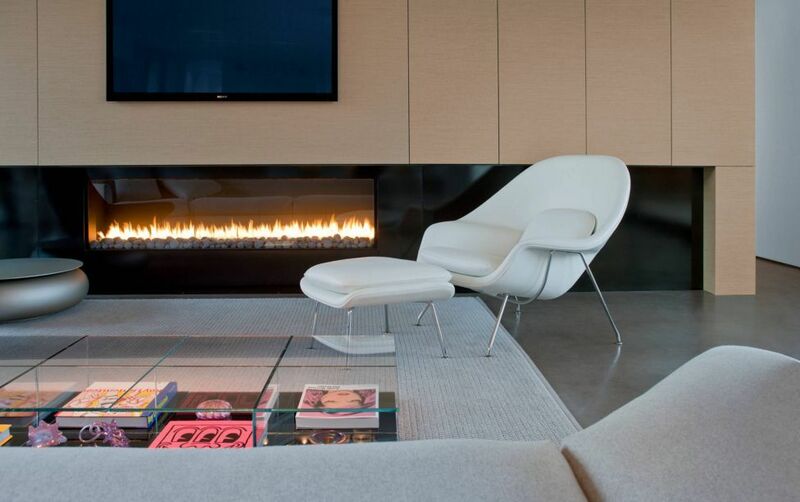 The understated and versatile look of mid-century modern comes from its clean lines, curves, smooth surfaces. It is more about geometric minimalism. Excess is not to be found in Mid-century modern design. 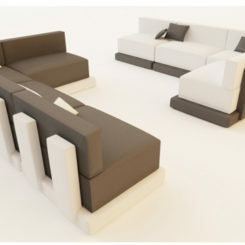 The design philosophy is about focusing on the basic elements and the function of the piece. It’s about as far away as you can get from the embellished and heavily ornamented pieces of the past: Baroque, Victorian, Colonial, etc. Big and heavy furniture was replaced with light and airy spaces that boasted neat proportions and new functional shapes, using both organic and geometric forms. 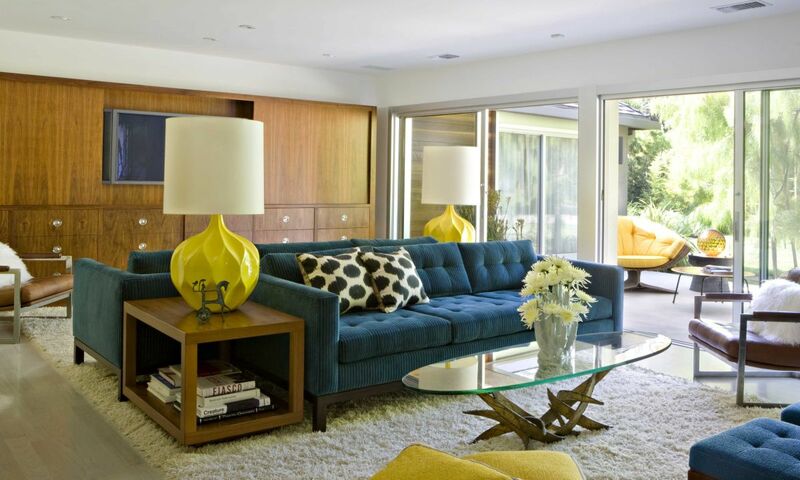 Mid-century modern essentially launched the quest for a clean, uncluttered look. 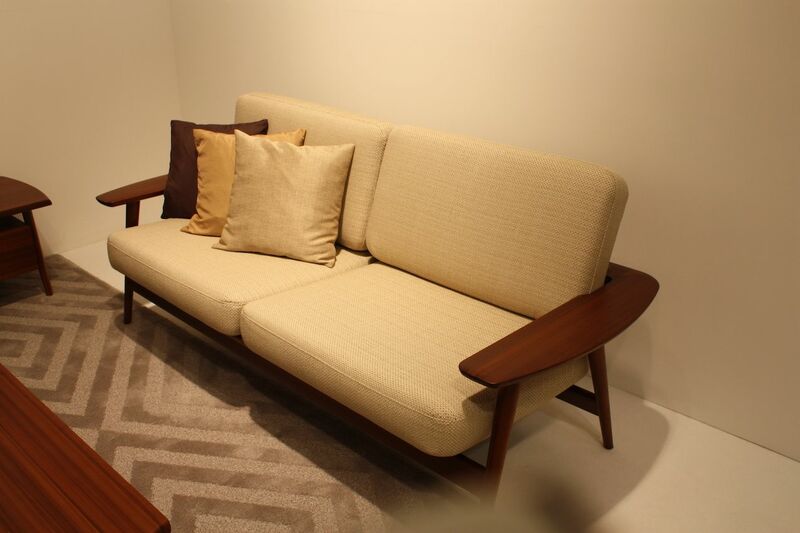 Geometric shapes are a staple of mid-century modern design, and this sofa is a good example. 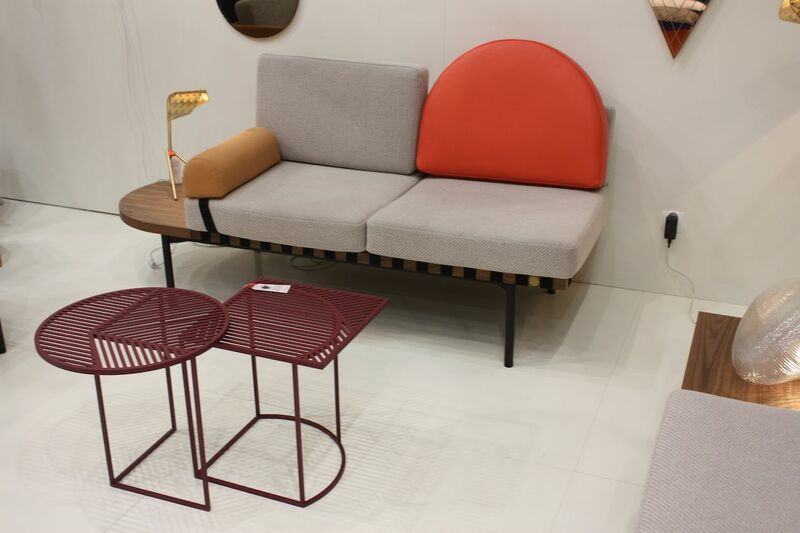 Another example of different geometries at play is this sofa and tables from Petite Friture. American industrial designer George Nelson said that there were three ‘mid-century’ categories: the biomorphic, the machine, and the handcrafted. The pieces that are Bio-morphic are organic, curved, smooth surfaces, shaped like kidneys and boomerangs, in direct contrast to more angular modern styles of the machine category. The new shapes were different but also comfortable. The post-war surge of new materials, especially plastics, were the playground of Mid-century modern designers. 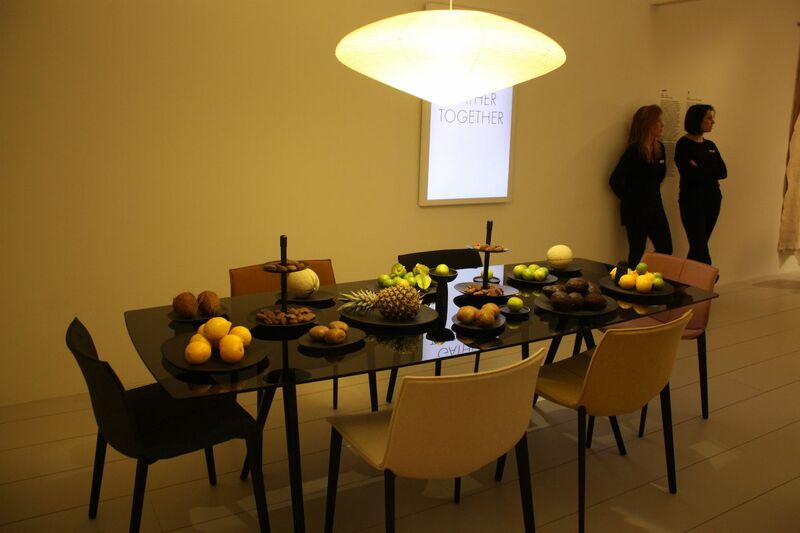 The freely combined natural materials with manmade ones and technical innovation. Consequently, many pieces were really an exploration, leading to works that combined different or even contrasting materials. 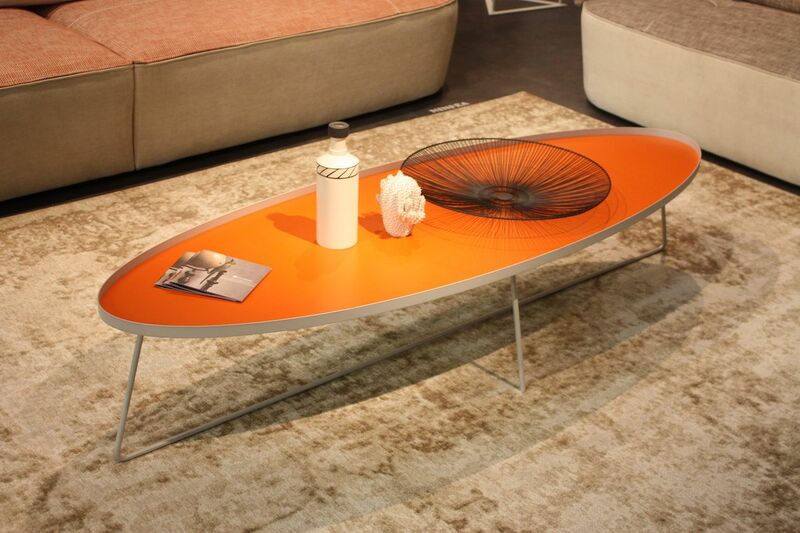 Plywood, metal, glass, vinyl, Plexiglass and Lucite all made their appearance in furnishings of this era. 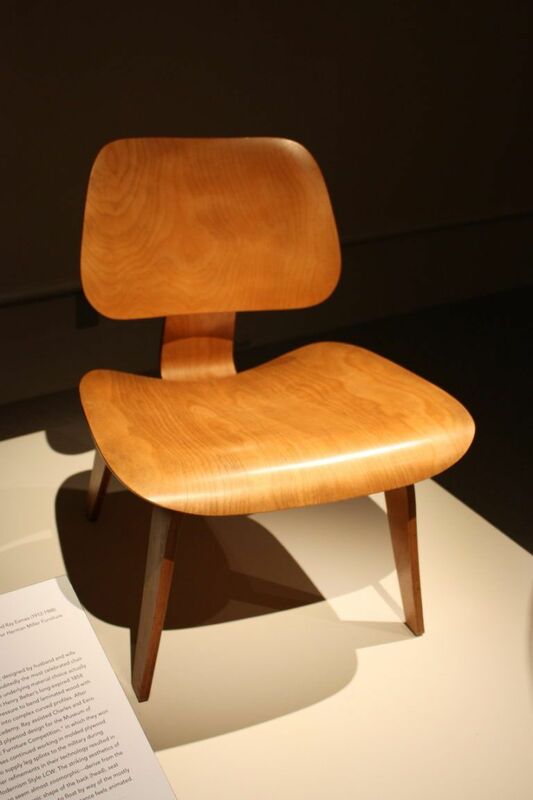 And, unlike recent times when plastic was (and still is) used to resemble wood or other materials, in mid-century modern pieces it was used for its own qualities, writes Curbed. 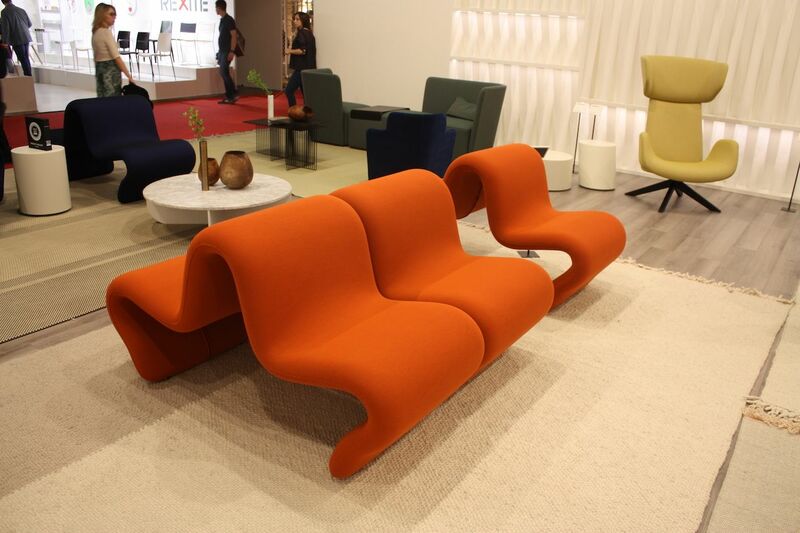 Many of the new materials also made the pieces affordable, particularly molded fiberglass, which became one of the most popular materials for producing the new biomorphic shapes. Glass became more commonly used during the mid-century modern design era. Wood was still widely used, especially plywood in combination with new techniques in forming it. Wood details are still a unifying element throughout mid-century modern design, which springs from the Scandinavian influence. 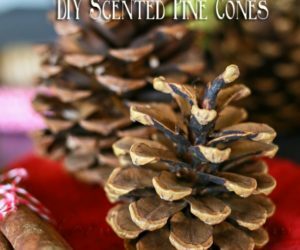 Finished and unfinished wood is used for décor details like doors, knobs, ceilings and storage. 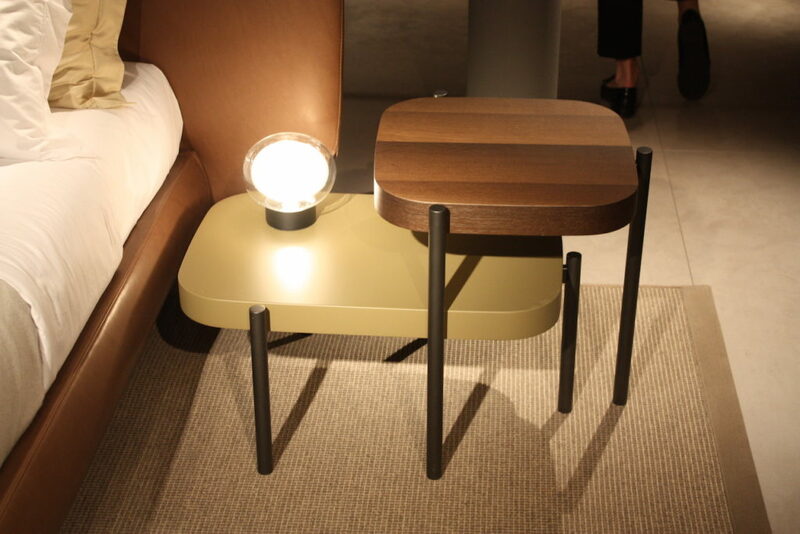 On furnishings, a molded plastic chair might be set on wooden legs, or a modern light fixture may sport wooden elements. 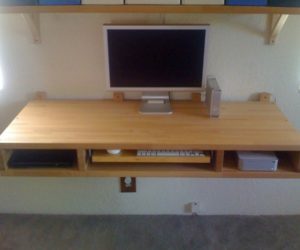 Wood was most often mixed with other materials or seating. 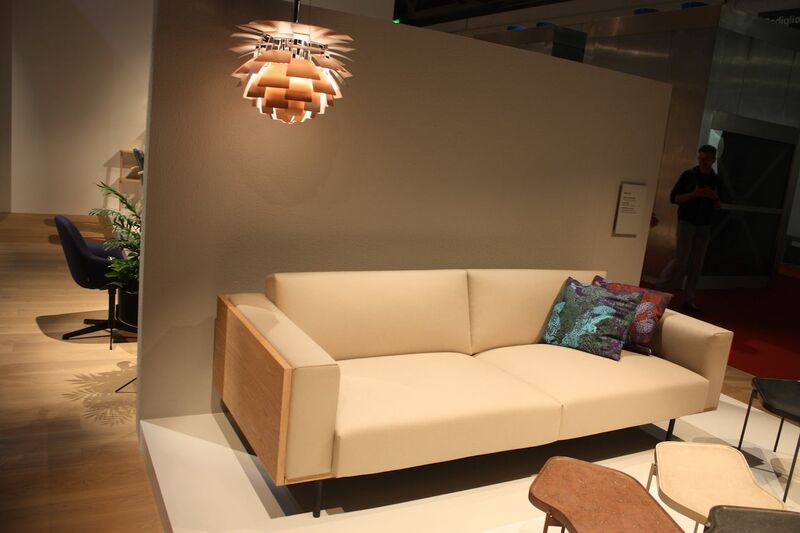 In this sofa, the wood is more of an accent than a major feature. The new materials allowed designer to incorporate more color in home decor. 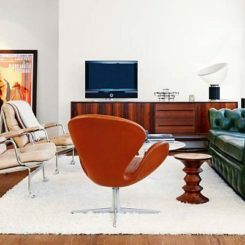 Clean lines and simple shapes leave plenty of room for color in mid-century modern design Known for its bold pops of color, the era’s pieces were even called “furniture candy” . This isn’t surprising given the optimism of the postwar years and the cheery colors of the time. 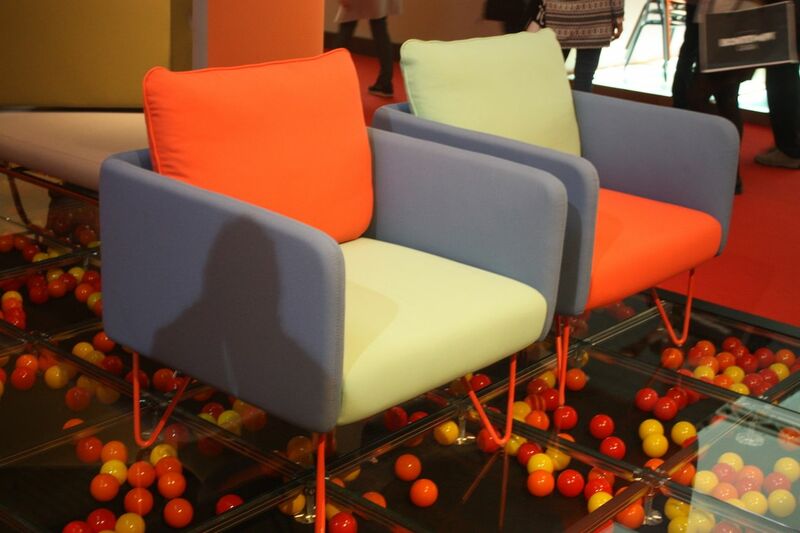 Bright sugary colors were used in plastics as well as textiles for seating, tables and accessories of all kinds. 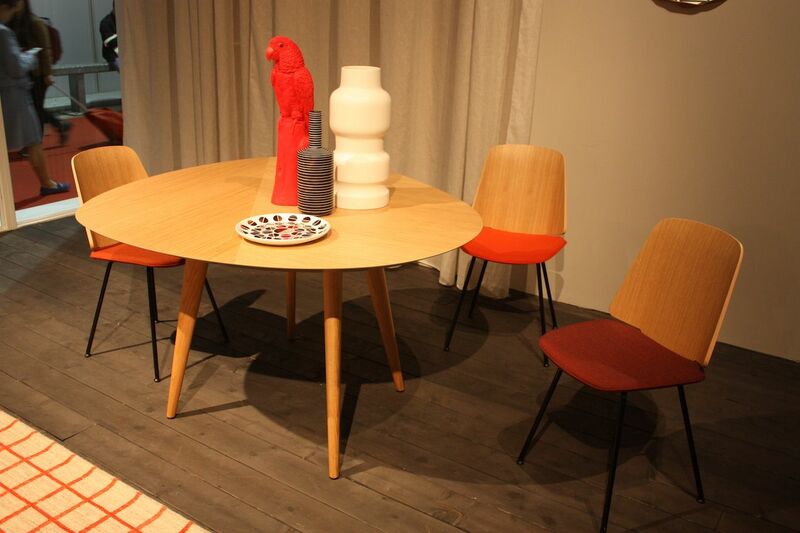 Bright colors are hallmark of mid-century modern design, especially on furniture. Textures are also important in mid-century modern design, as in any space that is modern and full of clean lines and minimalist shapes. Elements like shag rugs, rough stone fireplaces, smooth glass table, sleek ceramics, and textured upholstery come together for a more interesting room. Patterns emerge in abstract paintings, pillows, and other accessories, write Iris Abbey. 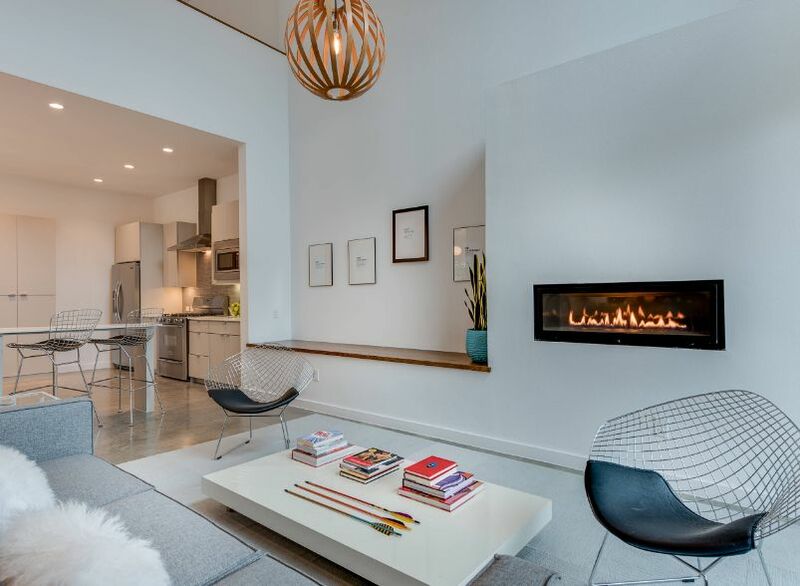 Today’s open floorpans stem from mid-century modern’s open spaces. 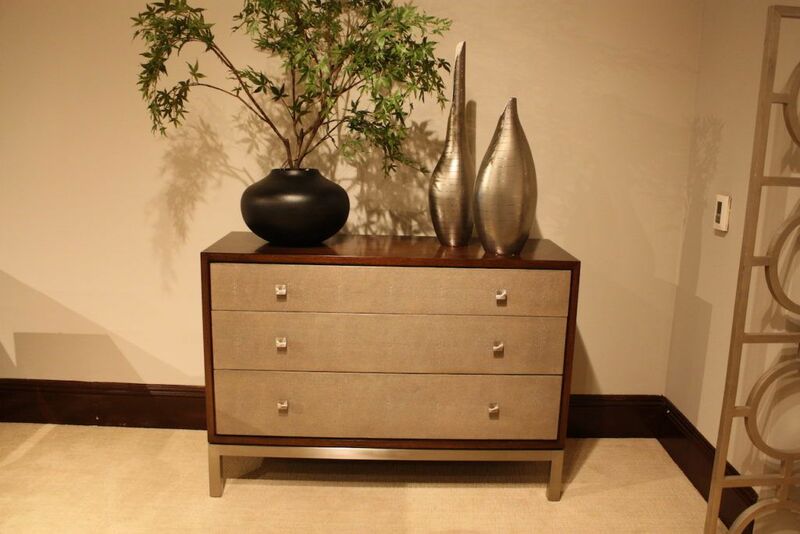 For mid-century modern pieces, form definitely follows function. The new drive to furnish postwar America shifted the focus to the lifestyle needs of the average American family. 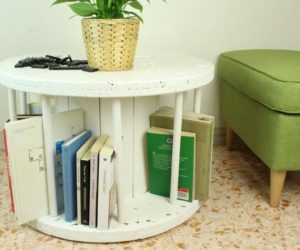 According to RedBeacon Blog, a lot of the furniture was built with the aim of being stackable, foldable and interchangeable. These changes also moved home décor in a more casual direction, reflecting new household sensibilities. 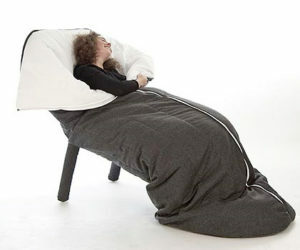 They also meant furniture had to be comfortable. Furniture for the new American family had to be comfortable as well as functional. Womb Chair by Eero Saarinen, 1947 — Saarinen’s chair was an outgrowth of his collaboration with Charles Eames and the result of a challenge by Frances Knoll to create a chair that was stylish, modernist and eminently comfortable. 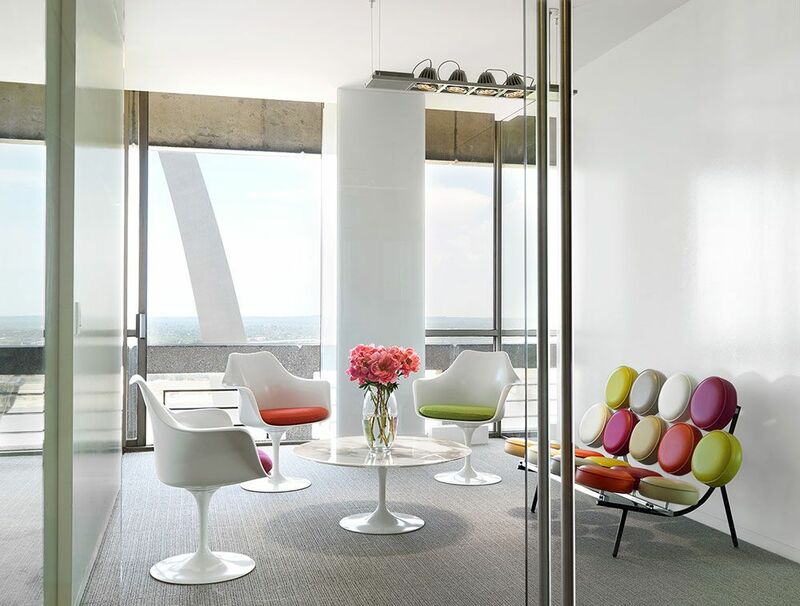 Saarinen’s Womb Chair has been popular –and comfortable –since the day it was designed. 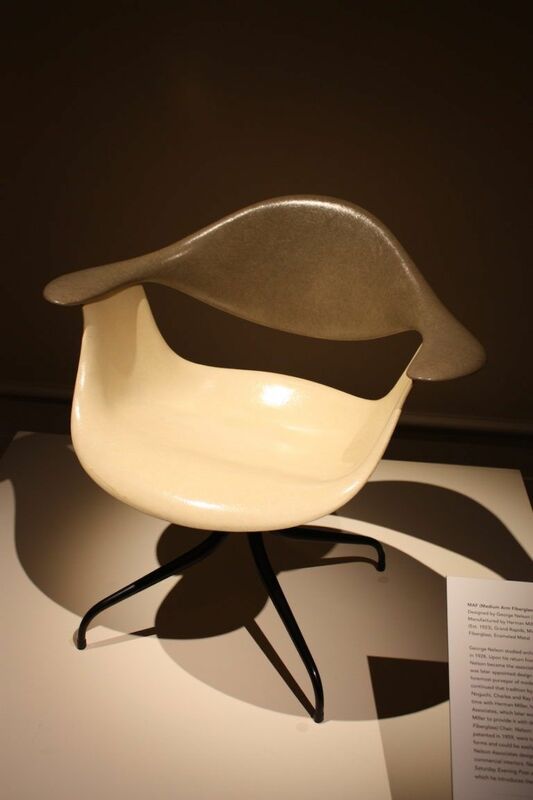 Dax Molded Fiberglass Chair by Ray and Charles Eames’s, 1948 – Made from one of the newest materials of the day, this chair is an enduring favorite. It was originally produced by Hermann Miller. 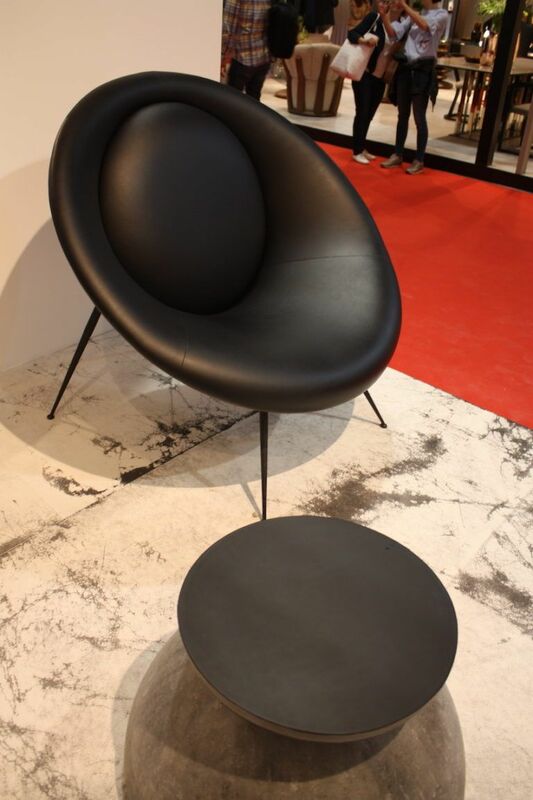 Egg Chair by Arne Jacobsen, 1958 —This is one of the most recognizable and popular pieces from the 1950’s. 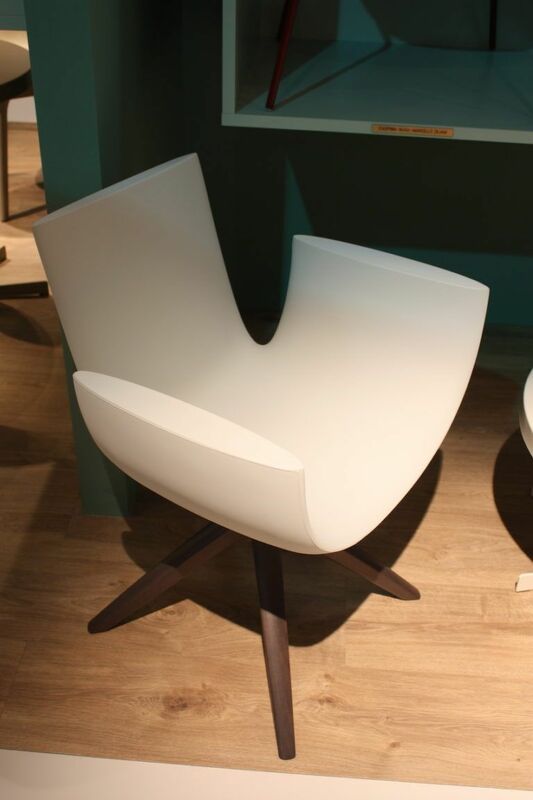 Jacobsen designed the fabric-upholstered, curvy chair for the Royal Hotel in Copenhagen. Marshmallow Sofa by George Nelson, 1956—Nelson’s famous piece of furniture is a funky sofa design made up of 18 comfortable round cushions that float on a frame. Diamond Chairs by Henry Bertoia, 1952 – While wood was still popular, Bertoia designed this welded wire grid chair that has an airy feel. 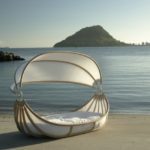 This was part of a full series that included lounge chairs in the same that were upholstered in fabric. Bertoia’s metal grid could be curved as he desired. 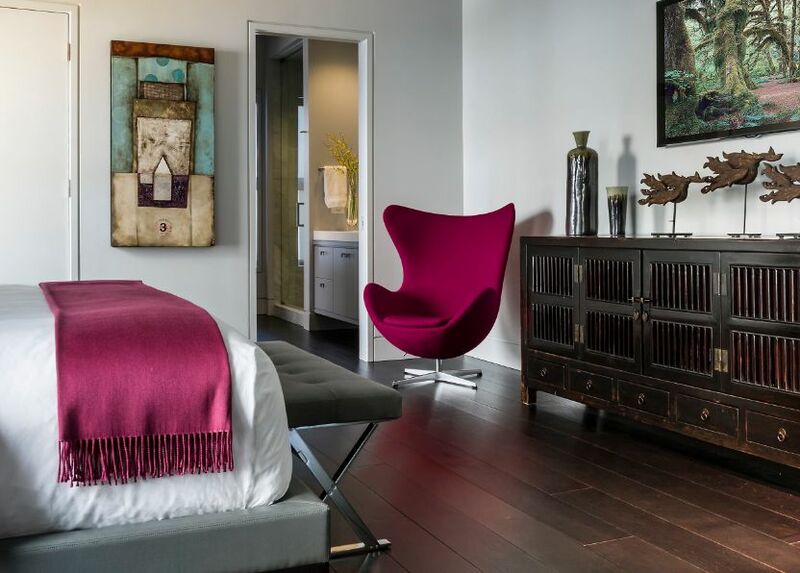 This room uses mid-century pieces judiciously so it still looks fresh and modern. 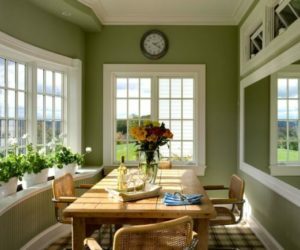 Interior design should fit your lifestyle – it’s your home and not a museum! This rings especially true when trying to achieve a certain feel or décor era. 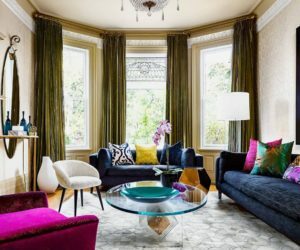 You don’t want a carbon copy of a room from the mid-century modern period, you want a livable space that features the essence and the characteristics you love about it. 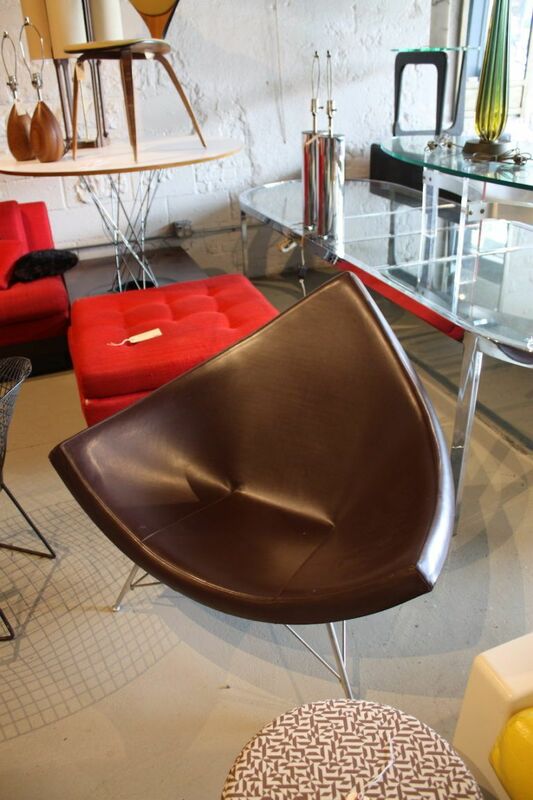 Vintage mid-century modern chairs command high prices today. Planning is key. 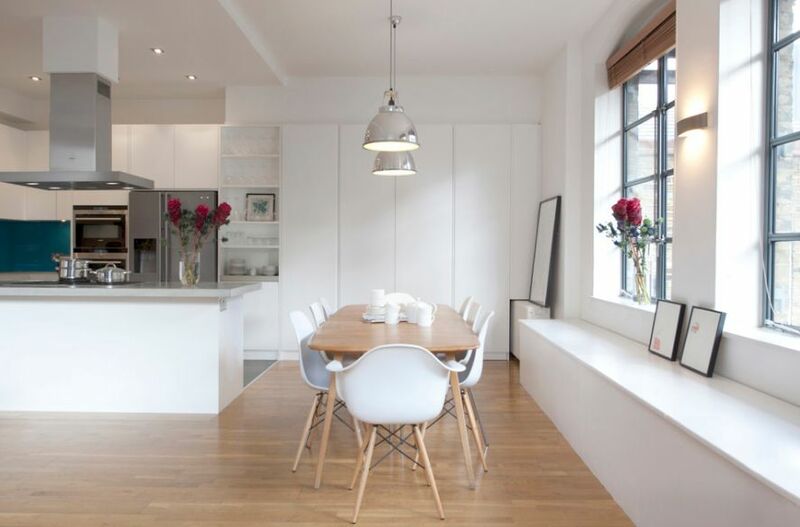 Take a good look at the space you have to work with and chose a focal point. This is where you can conjure up style you want. Start with a statement piece like a sofa, set of chairs, or table that will set the mood for the room. 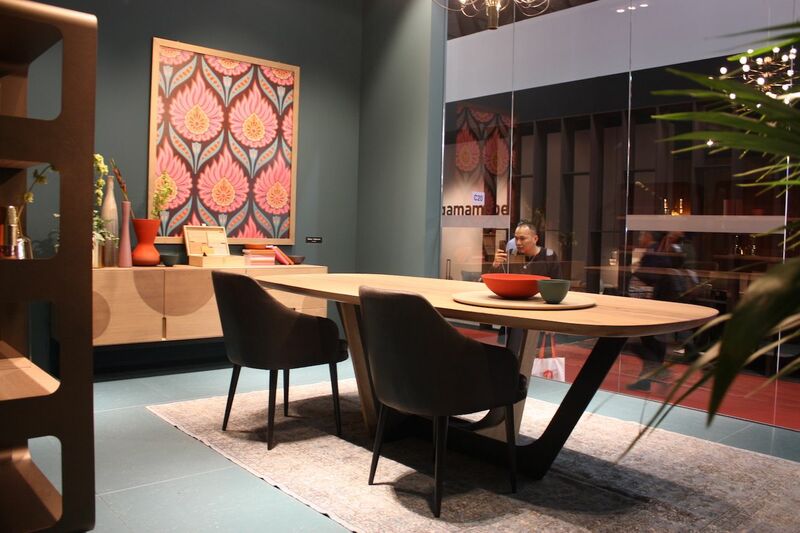 From there, move on to choosing the other furnishings and accessories for the space. These can be purchased or edited from what you currently own. 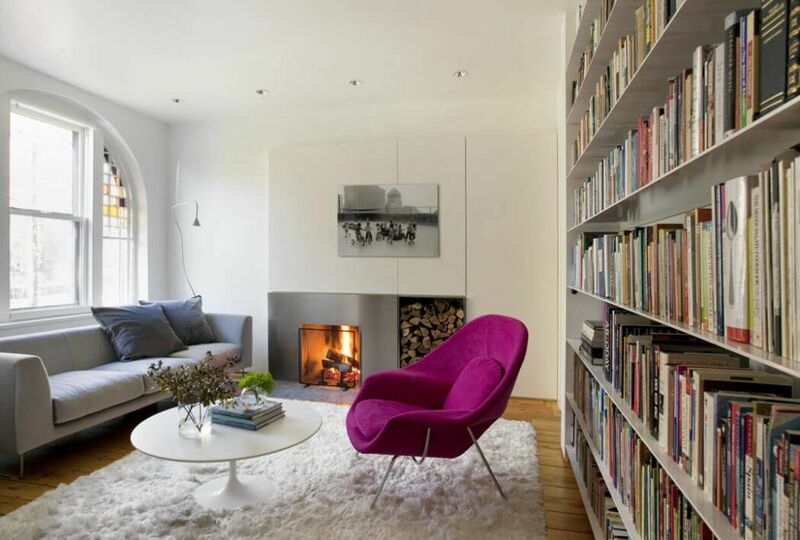 Remember that mid-century modern style is built on the concepts of open, airy and uncluttered space. 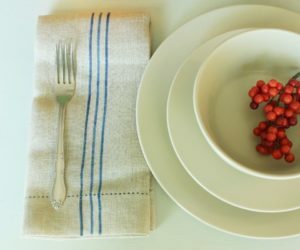 Choose items that are geometric, clean-lined and functional – and use patterned pieces sparingly! 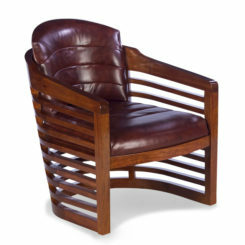 Pieces like this chair and ottoman will be classic for generations. 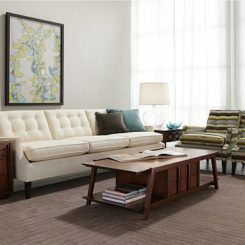 Searching for pieces to include in your home can be much of the fun in creating a mid-century modern living space. 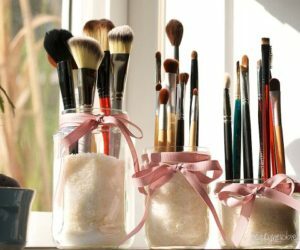 Of course, this means that it might take longer to complete your décor, however including touches of vintage can create more character and interest than using all new items. 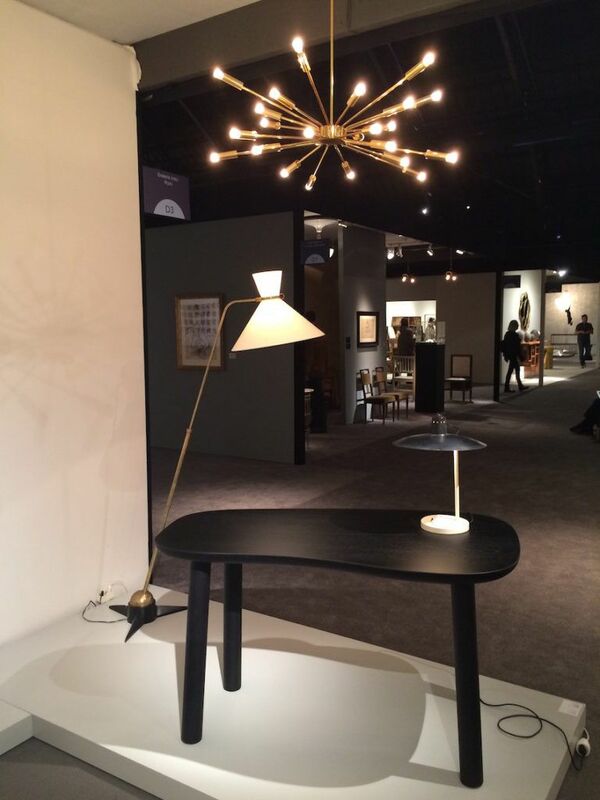 Vintage lighting is an easy way to inject mid-century modern style into any space. 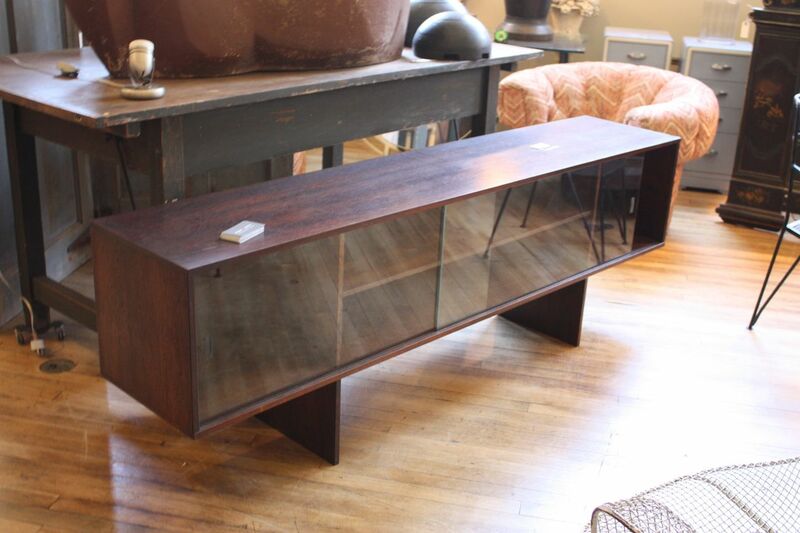 Speaking of vintage, you can find affordable second-hand pieces because so many copies were made, but you will have to have a hefty budget if you want authentic mid-century-modern furnishings. Their popularity has created a very high-ticket market with prices reaching the tens of thousands of dollars. 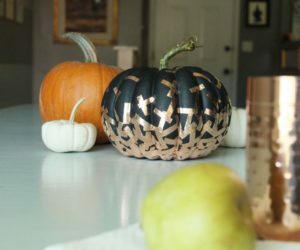 One alternative is to purchase a bold, new focal piece and concentrate on finding some vintage accessories that are more budget friendly. 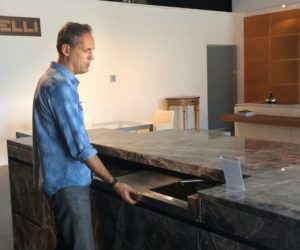 Long and lean cabinets were commonly used in this design period. Family friendly shapes and styles were key to the style. 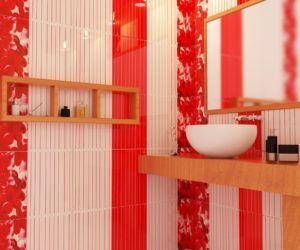 As with any interior decoration, there are multiple ways to achieve the look you want. Thanks to the current mania for all things mid-century modern, it’s possible to create your own unique living space thanks to all of the options available. Today’s acceptance of mixing and matching is the perfect opportunity to acquire vintage pieces, buy new items created in the mid-century modern style, and search out fitting small maker artisan works that can become new family heirlooms.